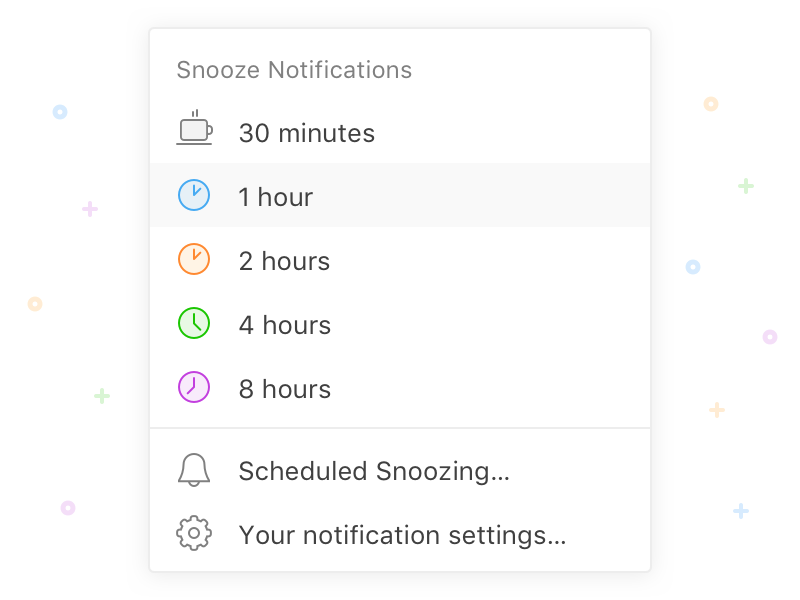 We’re redesigning our dropdown menu components and this is an experiment for the snooze notifications options in Twist web. Main goal was to visually differentiate snooze options to easily skim through them. 30 minutes stands for a short break visualized as a cup of coffee or tea — for example a lunch break; other options with clocks are significantly longer and imply deeper focus. Twist is a team communication tool that prioritizes focused, meaningful work over staying constantly connected every day. Learn more about how Twist makes teamwork calmer, more organized, and more productive at http://twistapp.com.